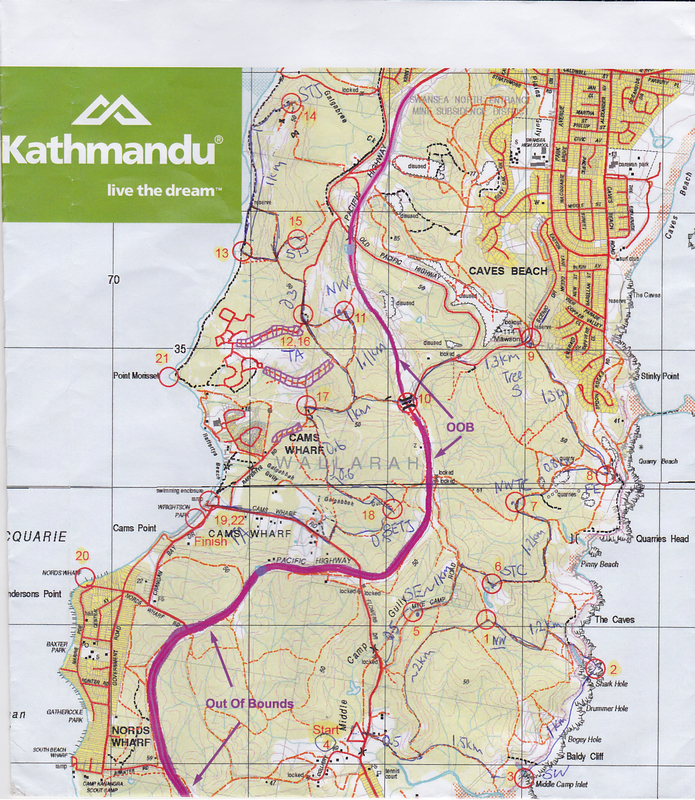 On Feb 4th 2012, Team Misdirected took part in their first Adventure Race, the Kathmandu Adventure Race at Cams Wharf. For those of you who haven’t done an adventure race, its a navigational exercise where teams of two make their way to different checkpoints in a certain order. You are given a map an hour before the race and another sheet of paper with a brief description of where the checkpoint will be (e.g: south east of track bend). 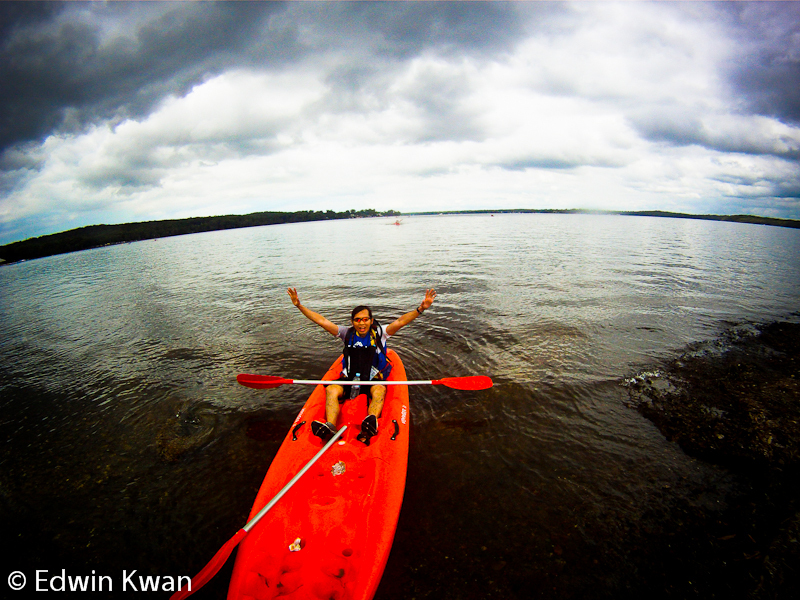 The race consist of mountain biking, trail running and kayaking, though I have been told that there have been snorkeling and diving to collect checkpoints in some of the races. This particular race consisted of 5 main legs. It was Coasteering (refer to picture at top of people jumping into the water), mountain biking, run, back on the mountain bike and finishing off with a Kayak. 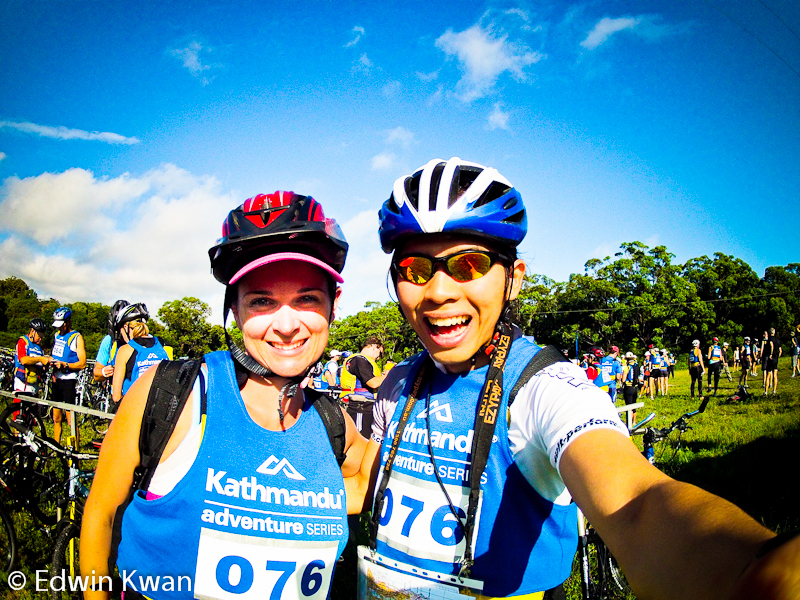 Being the first adventure race, Samantha and I from Team Misdirected did not know what to expect. We decided that our goal for this first race was to just be able to complete the race. Luckily we were doing this with our friends who were probably doing their millionth adventure race and hence got quite a few tips before the race. There was Brendan and Kate (Team VO2Vitality 1), Anita and Lis (Team VO2Vitality 2), Alex and Jo, Kerrie and Andrew & Ryan and his brother. The start of the race went well and all the participants pretty much stayed together as a group. I would say that this was the case for the entire coasteering leg. This is also my favourite leg, with the beautiful coast and jumping into the ocean. (you can see the jump in the video below). We did good time on this leg. The second leg was the Bike leg, this was particularly difficult as the area had a lot of rain in the week leading to the race making the ground quite muddy. There was also a fair bit of uphill, but the most challenging bit I found in the bike leg was trying to look at the map and where you are going as you’re cycling. There were a few teams which had clipboards mounted to their handlebars which would have made that task easier. The next leg after that was a run leg which went relatively well for us. This was followed by another bike leg then a Kayak before a short bike ride to the finish line. Below’s a short video of the race.